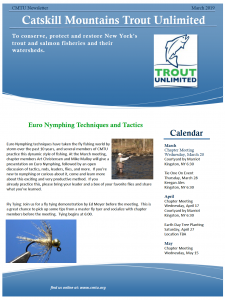 Trout Unlimited was born in 1959 when a small group of concerned Michigan anglers banded together to ensure the health of trout, their habitat, and the sport of angling. Just two years later, the fledgling conservation organization had won its first victory: Michigan had replaced its indiscriminate stocking of catch able-sized trout with stream improvement programs, fingerling planting, and protective fishing regulations. Word of the success in Michigan spread quickly and conservation-minded anglers in other states, from Pennsylvania to California, joined together under the Trout Unlimited banner to effect similar change in their trout fisheries. Forty-three years later, Trout unlimited is over 125,000 members strong, with more than 450 chapters nationwide. Trout Unlimited strength has always rested in its thousands of dedicated volunteers, many of them anglers, committed to conserving trout and salmon for the next generation of anglers. Trout Unlimited most visible impact has been on the hundreds of watersheds nationwide where Trout Unlimited members have spent countless hours restoring trout and salmon habitat. Watershed restoration is more than rolling rocks and picking up trash; a typical project often spans years of research, planning, and ongoing stream work. Local chapters across the country also survey and research stream ecosystems and fish populations, urge local and state legislators to make environmental education programs for people of all ages. Trout Unlimited National Resource Board, made up of representatives of Trout Unlimited volunteer leadership, sets the conservation agenda for Trout Unlimited. Today, protecting trout and salmon requires up-to-the-minute scientific research and active legislative advocacy to back up hands-on habitat restoration. To provide that expertise, and a presence in the nation’s capital, Trout Unlimited has built a dedicated national staff of legal and scientific professionals. The national staff, based in Washington D.C., works at the federal level to influence national environmental policy and carries out Trout Unlimited national conservation agenda. On the national front, Trout Unlimited legislative vigilance and leadership ensures the organization is positioned to actively participate in efforts that enact important legislation to protect fish and aquatic habitat, and too often, stop legislation that would be harmful to our fisheries resources. Trout Unlimited is also helping to develop responsible habitat management plans for the future through partnerships with the state and federal agencies including U.S. Forest Service and the Bureau of Land Management. 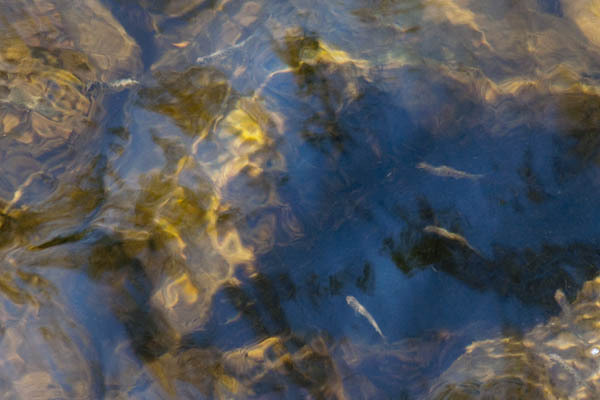 There are still many battles to be won to ensure the future of trout and salmon. The threats to the survival of America’s cold water fisheries are many and diverse, but with the perseverance, commitment and dedication of Trout Unlimited volunteers and the expertise of Trout Unlimited professional staff, the interests of the conservation-minded angler will continue to be represented on all levels. With your help, Trout Unlimited will continue to fight to conserve, protect, and restore trout and salmon and the watersheds they inhabit.